Excerpt: Biodesign Out For A Walk, chap. 2, Looking For A Map. The reason that National Geographic and Smithsonian Magazines were so appropriate to the emerging Biodesign Class was because they were not subject to the Constitutional laws of separating Church and State in public education. They were also not blinded by the “politically correct,” humanistic bias of ignoring all examples of mystery, wonder and spirituality that cannot be explained by science. Modern biology (bio=life, logos=study) is a vast area with many subdivisions. All were open to our studies, including physical and cultural anthropology. Physical anthropology primarily focuses on the origin and evolution of mankind, while cultural anthropology probes tribal socio-cultural, ethnic, spirituality and survival skills. These topics can all be discussed in a public high school without teaching about any specific religious beliefs. The Geographic article on Mary is a perfect example. The editors presented Mary as a spiritual guide for billions of Christians (and also some non-Christians). Intriguingly, she is mentioned 34 times in the Islamic Holy Book, the Quran, which is more than she is mentioned in the Holy Bible. In addition to her Biblical connection with Jesus, the Quran supports the traditional historical contention that she was his mother and therefore considered one of the most righteous women in Islam. Whether Mary is “the most powerful woman in the world” may be debatable, however, what is not debatable is that she is the most important female in the Christmas Story and thus the most noteworthy woman to have lived on Earth. There are 1000s of shrines or sacred places created in her honor. Over 2,000 people claim to have seen apparitions of her and numerous people claim to have had conversations with her. She has been honored by billions (?) of statues, statuettes, icons, paintings, mosaics and stained glass images. 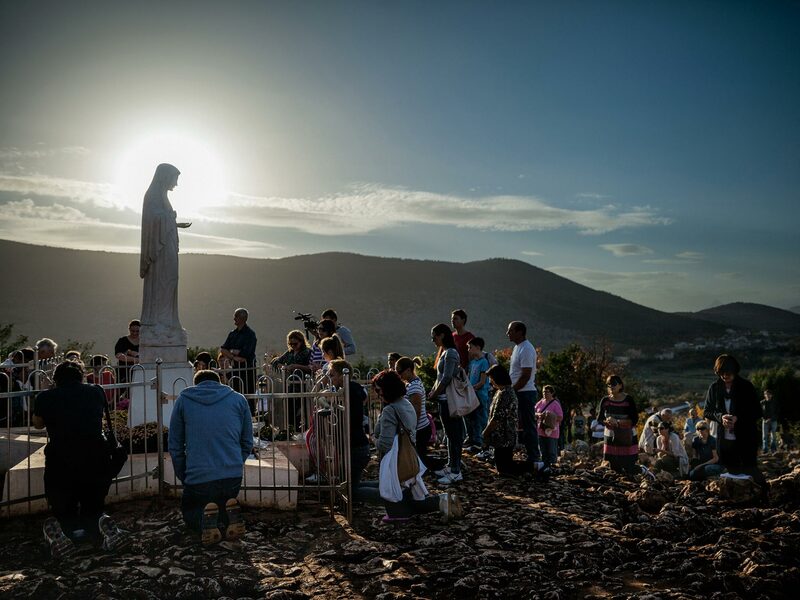 Each year, 1 million people, from diverse faiths, ethnicities and nationalities visit the statue of Mary at Medjugorje, Bosnia/ Herzegovina. Many years ago, I learned that there are countless Christian shrines erected on the vast trail network of the European Alps. Shortly after that discovery, I received a postcard from an ex-student featuring one of these shrines. The message was poignant, terse and soulful. I have no explanation for what happened to “K,” but I think that most people would describe it as a miracle. As a highly learned anthropologist, Eiseley was well aware of countless “miracles” like the one that “K” experienced. Furthermore, when he described himself as, “pressing his hands against the confining walls of the scientific method,” he conceded that many of these mysteries are beyond the grasp of scientists. 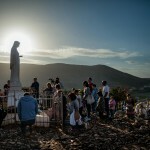 Although I understand the Geographic editor’s noble intentions of their feature article on Mary, I doubt that if she were living she would consider herself as the “Most Powerful Woman in the World.” Still, she seemed to be well aware of the fact that she had been singled out as utterly unique to human history. I know of no human who understood (or lived) this statement more profoundly than Dr. King. He could have retreated to the relative comfort of being a Baptist Minister in a middle-class neighborhood without confronting the potential evils of tribalism and racism. He understood that both black and white people were capable of racism,hatred and killing each other based on the color of their skin. He experienced first hand the poverty and deprivation of an unjust society that penalized children because of their skin color. He knew all of that and yet chose to follow the model of Jesus Christ by uniting not dividing, returning good for evil, tolerance for hatred, and providing comfort and solace for the sick, downtrodden and poor. On nearly every Biodesign trip, I was confronted with bouts with evil that were sometimes nearly overwhelming. The general feeling was intense anxiety and foreboding that what I was doing was wrong and we should go home immediately. I had no peer or precedent support, other than John Muir, but he never led 30 high school students into the wilderness. Fortunately, they usually lasted only a few minutes and then they passed. 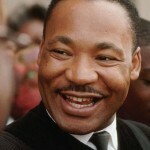 Although the events were scary, they were trivial compared to what Dr. King must have experienced. I cannot fathom the courage it took for him to appear in public, or lead a peaceful march, knowing that his head might be in the crosshairs of some sniper’s riflescope. During the overwhelming pressures that would have caused lesser men to buckle, retreat or retaliate, he proclaimed, “Our lives begin to end the day we become silent about things that matter.” He chose the hard road of unconditional love and forgiveness. 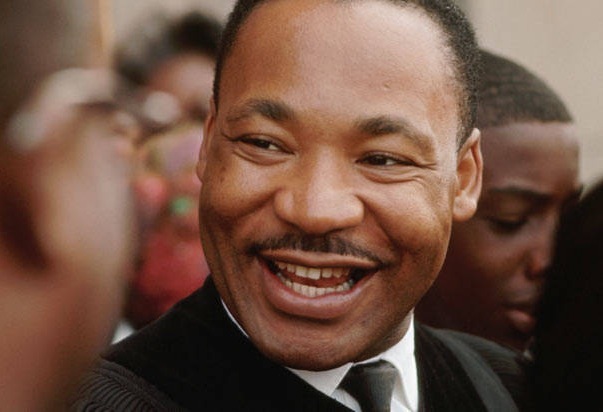 In doing so, he joined Abraham Lincoln, John and Robert Kennedy and all the saints and sinners who were willing to “march into Hell for a heavenly cause.” Dr. King’s life and work were the result of his deeply rooted Christian faith, which was challenged, ridiculed and besmirched.George Bernard Shaw supposedly quipped: “Christianity might be a good idea if anyone ever tried it.” George Bernard Shaw did not know Dr. Martin Luther King.